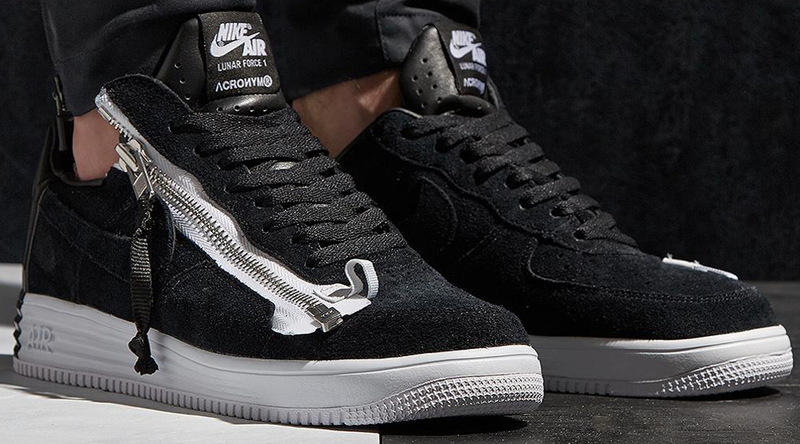 The Acronym team continues its Nike partnership with this Lunar Force 1 project. Acronym, the German outerwear label who chipped in on the recent Nike ACG revival, has a couple pairs of the Lunar Force 1 on the way. Both pairs feature a zip-up look that cuts across the sides of the shoes, which communicates the same aesthetic set up by their uber-technical take on outerwear. The Nike Lunar Force 1 as the silhouette of choice shouldn't be surprising here, as most of the current crop of AF1 collabs have landed on the Lunar-platform version. 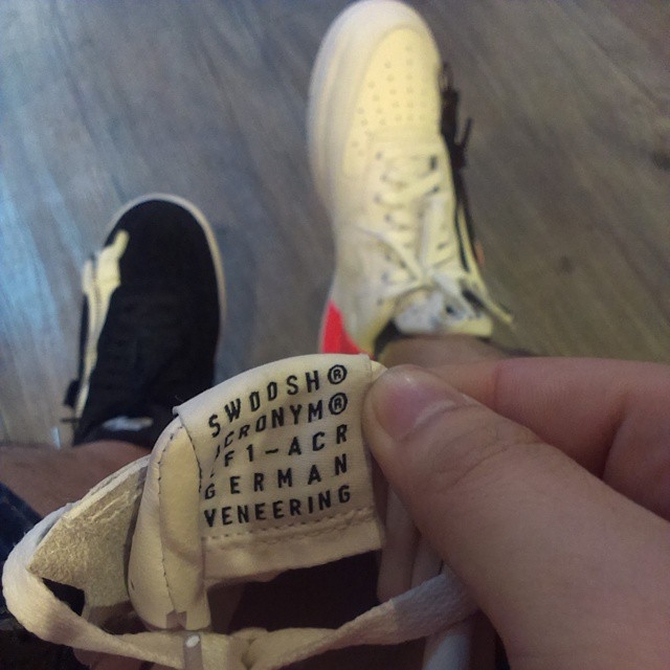 The inside tongue tag cements the partnership and mentions "German Veneering"—likely a reference to the shiny, protective section on the back of the shoe. 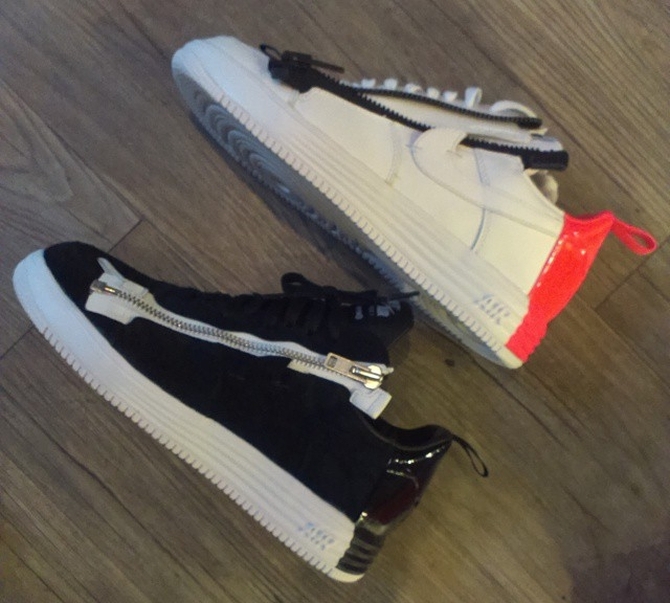 There is no release info yet for the Acronym x Nike Lunar Force 1s. 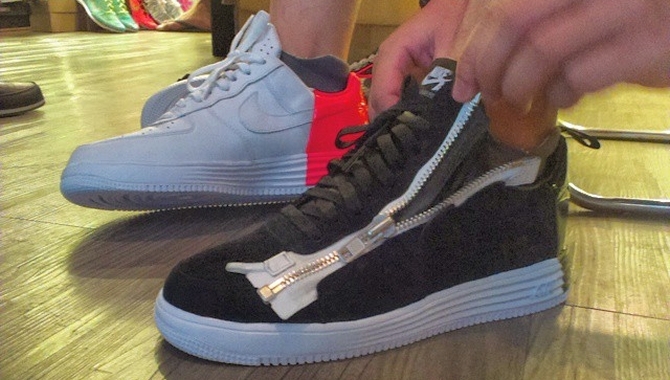 UPDATE 9/14: The Acronym x Nike Lunar Force 1 will release worldwide on Sept. 17 for $200 in three colorways. UPDATE 4/3: End Clothing will be releasing the Acronym x Nike Lunar Force 1 SP Zip on April 9 for £169.